Yoyo Wallet is the largest multi-retailer mobile wallet in Europe. It provides fast and simple mobile payment solutions combined with an instant personalised loyalty and rewards programme for high street retailers, universities and corporate locations - backed by an easy-to-use analytics and campaign measurement platform. Now in its 4th year, Yoyo was recently chosen by Marketing Week as one of the Top 100 Disruptor Brands and by KPMG as one of 50 FinTechs to watch globally. 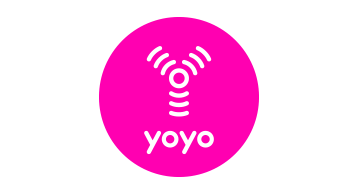 Yoyo recently announced a series B raise of $15M. Yoyo Wallet is part of London & Partners’ London Fintech Lounge at Money20/20 Las Vegas.